The BAH musical journey is coming to the Hotel Los Pescadores. 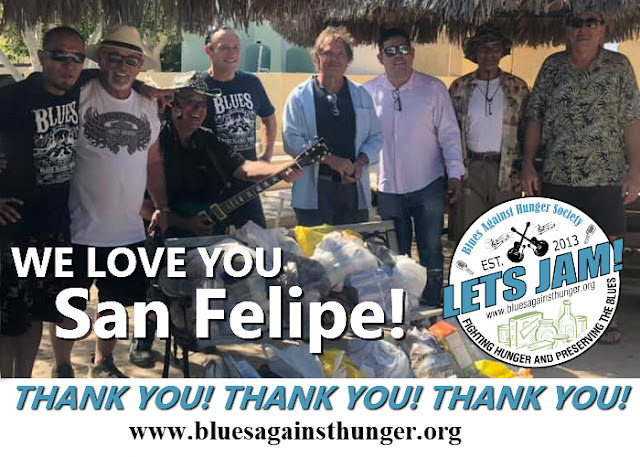 Patti and her staff will host the 2018 Baja Blues Against Hunger on February 6, 2019 • show starts at 6:00 PM. 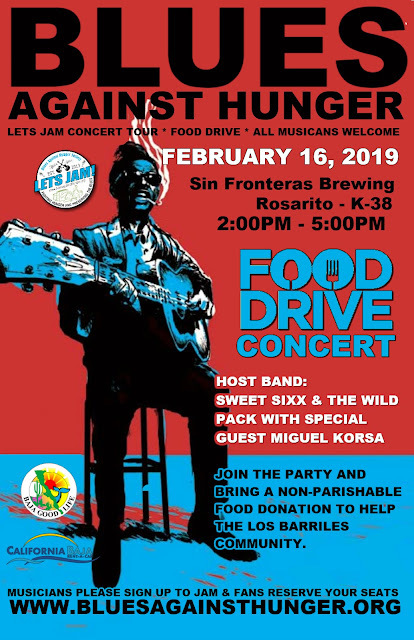 Party with Sweet Sixx & The Wild Pack with their special guest Miguel Kosa and all the incredible local blues musicians. EVERYONE is WELCOME to jam, dance and have a swing good time. PLEASE bring a non-perishable food donation to help the people of Los Barriles. All food donation goes to help those in need - music, and meals can heal. All Blues JAMMERS are welcome! Please sign up to play & FANS reserve your seats to party! We will arrive on 4-February, so come by and say hi! 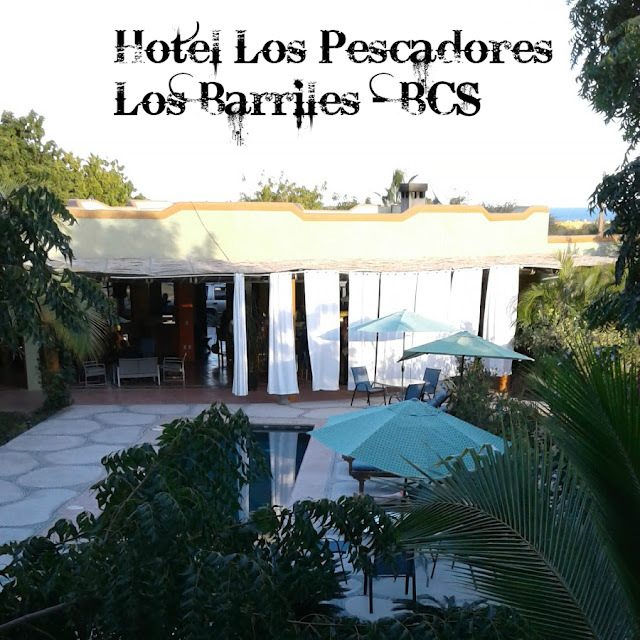 Hotel Los Pescadores is a very special boutique Hotel and bar/restaurant, located just 2 clicks north of downtown Los Barriles. 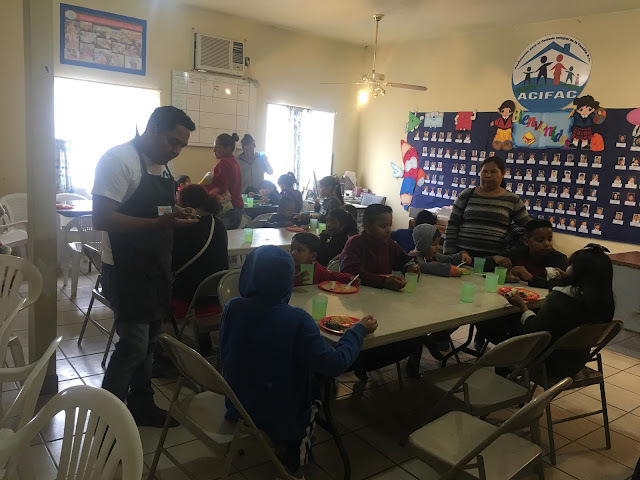 This is a unique, beautiful and relaxing location on the East Cape; approximately two hours north of Cabo San Lucas and one hour north of the Los Cabos International Airport. 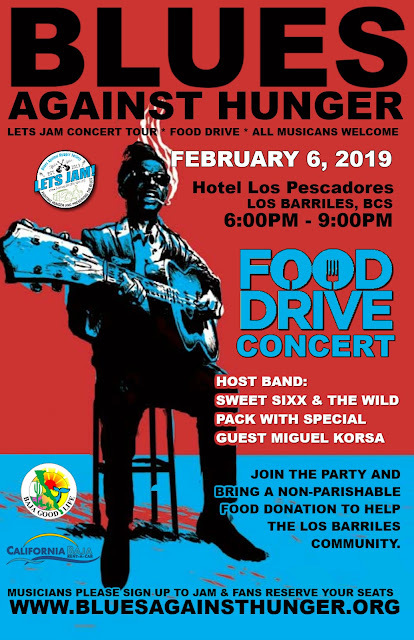 Hotel Los Pescadores is situated in an ideal setting to truly enjoy the Baja experience and one heck of a great jam venue. 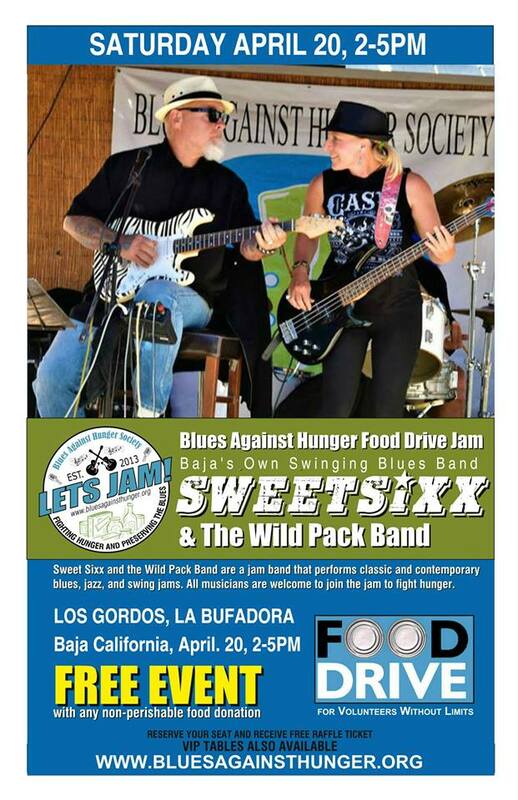 Join us for a cold one and a special night with guests musicians and jammers playing the BLUES with the host band "Sweet Sixx and The Wild Pack" to raise food for the community. 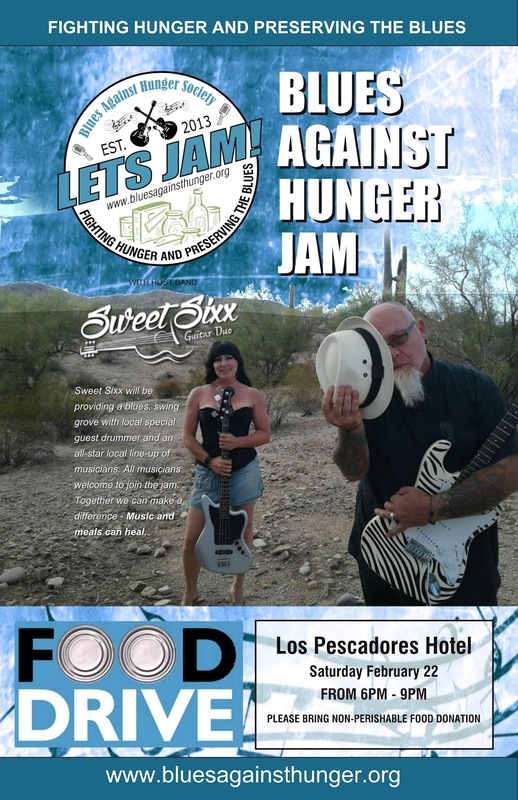 Please bring a non-perishable food donation to help those in need and be ready for a rockin' good time. Music and meals can heal.